Publicity playing cards manufactured by Color & Trazos for Laboratorios Magma, S.A., Lima, Peru, who are producers of pharmaceutical products, drugs and animal feeds. 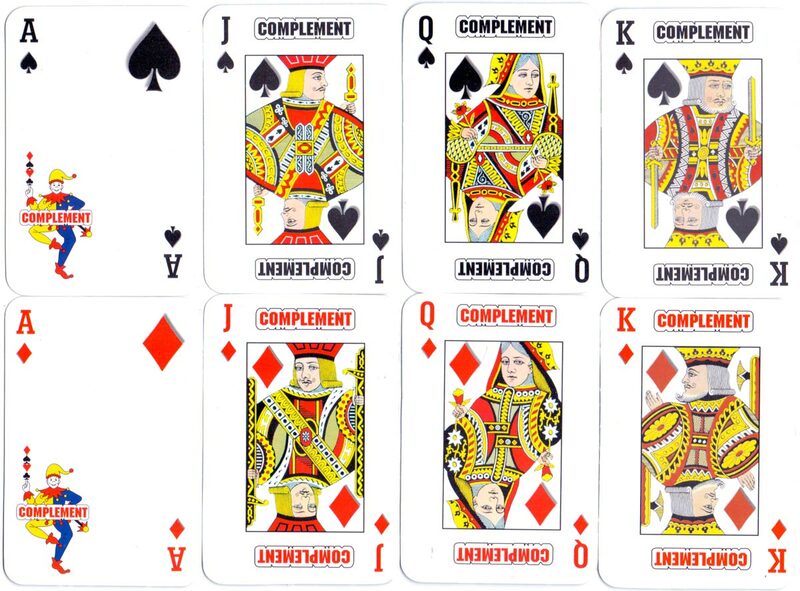 All the numeral cards feature the ‘complement’ jester in the bottom left-hand corner and one single suit sign at the top-right. 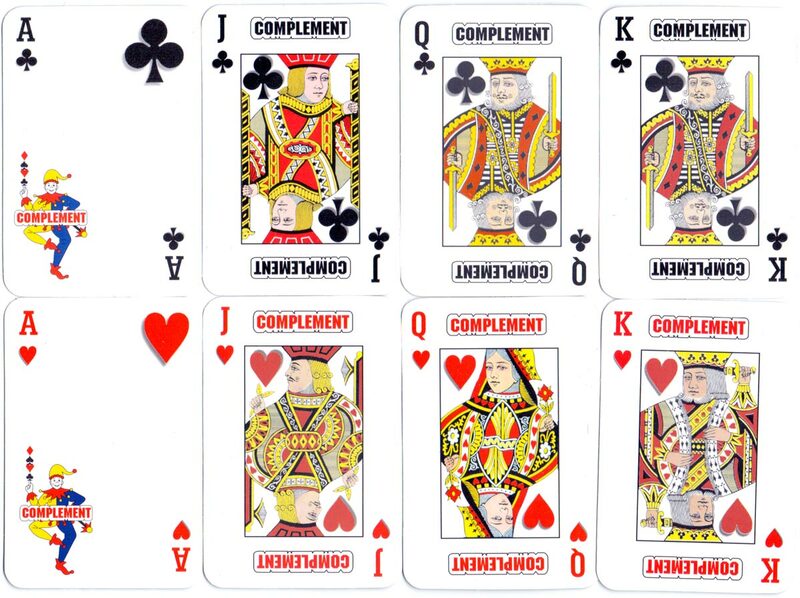 The courts have the word ‘complement’ printed as a banner at top and bottom, but there is a curious printing error on the queen of clubs. The backs show the company name and logo. 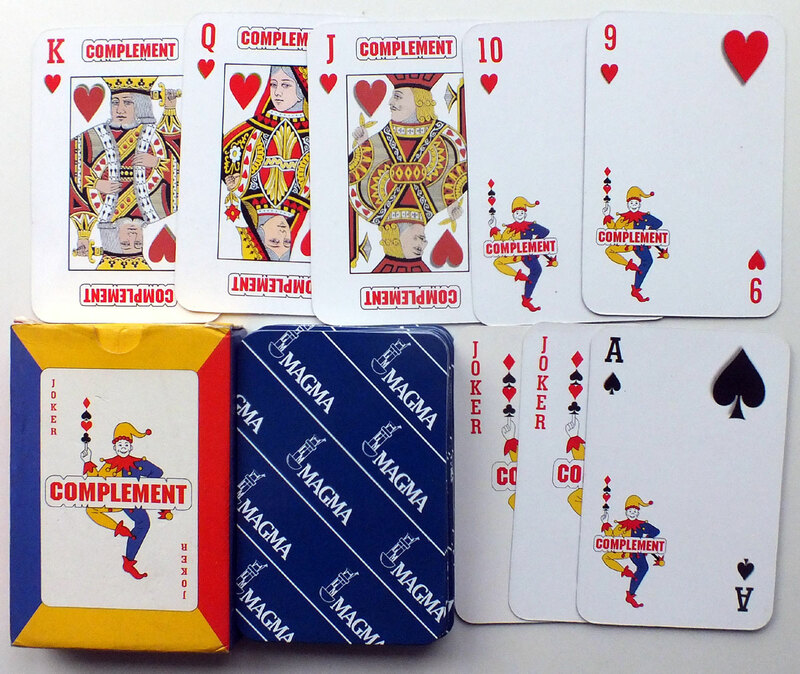 Above: Publicity playing cards manufactured by Color & Trazos for Laboratorios Magma, S.A., Lima, Peru, c.1990. 52 cards + 2 jokers in matching box.